﻿﻿ Joint Institute for Power and Nuclear Research – Sosny | The National Academy of Sciences of Belarus and the NRC "Kurchatov Institute" discussed the prospects of joint cooperation. The National Academy of Sciences of Belarus and the NRC "Kurchatov Institute" discussed the prospects of joint cooperation. 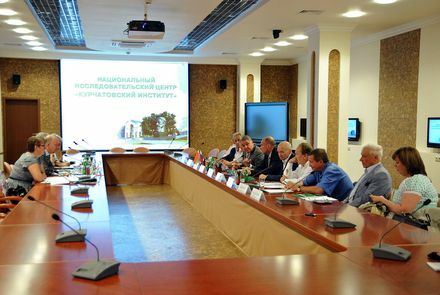 July 4 at the National Research Center “Kurchatov Institute”, a meeting with representatives of the NRC leadership and the National Academy of Sciences of Belarus. At the meeting, participants discussed the issues of scientific and technological cooperation between the two major scientific organizations of the two countries. 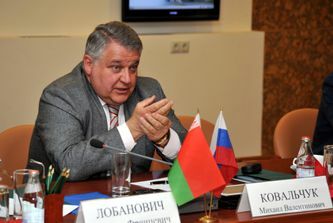 Director of the Research Center “Kurchatov Institute”, Mikhail Kovalchuk said that, given the cultural and historical unity of Russia and Belarus, it is important to strengthen and scientific relations, developing close bilateral cooperation, including in the international scientific projects. The meeting also discussed the issues of cooperation in the field of nuclear safety, advanced energy technologies, as well as in the rapidly growing field of IT-technologies. Mikhail Kovalchuk, proposed the creation of a joint data center in Belarus, which would be connected with the Kurchatov supercomputer center. “The combined IT-technologies more closely link the two of our state,” – he stressed. During the visit, the guests were given a tour by a number of research laboratories of NRC. 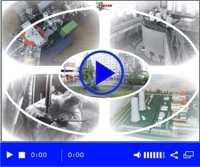 They visited a center of nuclear medicine, laboratory “protein factory”, genomic laboratory and the laboratory of electron microscopy, the department neurocognitive sciences, and computer center with one of the most powerful supercomputers in Russia.